Estate Planning & Elder Law Overview : seminar by Michael J. Millonig, Attorney At Law, Ohio State Bar Association Board Certified Estate Planning, Trust and Probate Specialist, Certified as an Elder Law Attorney by the National Elder Law Foundation. While you can claim survivor’s benefits as early as age 60, if you claim benefits before your full retirement age, your benefits will be permanently reduced. If you claim benefits at your full retirement age, you will receive 100 percent of your spouse’s benefit or, if your spouse died before collecting benefits, 100 percent of what your spouse’s benefit would have been at full retirement age. Unlike with retirement benefits, delaying survivor’s benefits longer than your full retirement age will not increase the benefit. If you delay taking retirement benefits past your full retirement age, depending on when you were born your benefit will increase by 6 to 8 percent for every year that you delay up to age 70, in addition to any cost of living increases. You cannot take both retirement benefits and survivor’s benefits at the same time. When deciding which one to take, you need to compare the two benefits to see which is higher. In some cases, the decision is easy—one benefit is clearly much higher than the other. In other situations, the decision can be a little more complicated and you may want to take your survivor’s benefit before switching to your retirement benefit. To determine the best strategy, you will need to look at your retirement benefit at your full retirement age as well as at age 70 and compare that to your survivor’s benefit. If your retirement benefit at age 70 will be larger than your survivor’s benefit, it may make sense to claim your survivor’s benefit at your full retirement age. You can then let your retirement benefit continue to grow and switch to the retirement benefit at age 70. Example: A widow has the option of taking full retirement benefits of $2,000/month or survivor’s benefits of $2,100/month. She can take the survivor’s benefits and let her retirement benefits continue to grow. When she reaches age 70, her retirement benefit will be approximately $2,480/month, and she can switch to retirement benefits. Depending on the widow’s life expectancy, this strategy may make sense even if the survivor’s benefit is smaller than the retirement benefit to begin with. Keep in mind that divorced spouses are also entitled to survivor’s benefits if they were married for at least 10 years. If you remarry before age 60, you are not entitled to survivor’s benefits, but remarriage after age 60 does not affect benefits. In the case of remarriage, you may need to factor in the new spouse’s spousal benefit when figuring out the best way to maximize benefits. The elderly are often the targets of tax and other scams. I hear of these scams often through my clients and their families. One simple way to avoid these scams is to not answer the phone. The older generation grew up in a time when this was not a threat. Answering the phone is a habit and sometimes we feel rude if we don’t answer or hang up. However, that is what you need to do if the caller is not someone you know. Just hang up! Another way to limit exposure to this problem is to not give out your phone number to everyone who asks for it. It is common for retail stores to ask this and for online orders but you should not give this out. Companies set up their computer systems to require a phone number and the employees are trained to ask for it. I do not give it out and find that they can still continue with the transaction. Companies also sell their customer lists with your phone number and other personal information. Do not give this personal information out. I know some people who give out a false phone number in these situations. I am not advising that but maybe it is easier than going through the process of refusing to give one out. You could also put your phone number on the do not call list although I am not sure if this will stop all the robocalls. Talk to your parents or other older members of your family to make sure they understand the above. A new report that combines nursing home quality data with a survey of family members ranks the best and worst states for care and paints a picture of how Americans view nursing homes. The website Care.com analyzed Medicare’s nursing home ratings to identify the states with the best and worst overall nursing home quality ratings. Using Medicare’s five-star nursing home rating system, Care.com found that Hawaii nursing homes had the highest overall average ratings (3.93), followed by the District of Columbia (3.89), Florida (3.75), and New Jersey (3.75). The state with the lowest average rating was Texas (2.68), followed by Oklahoma (2.76), Louisiana (2.80), and Kentucky (2.98). Care.com also surveyed 978 people who have family members in a nursing home to determine their impressions about nursing homes. The surveyors found that the family members visited their loved ones in a nursing home an average six times a month, and more than half of those surveyed felt that they did not visit enough. Those who thought they visited enough visited an average of nine times a month. In addition, a little over half felt somewhat to extremely guilty about their loved one being in a nursing home, while slightly less than one-quarter (23 percent) did not feel guilty at all. If the tables were turned, nearly half of the respondents said they would not want their families to send them to a nursing home. While the survey indicates that the decision to admit a loved one to a nursing home was difficult, a majority (71.3 percent) of respondents felt satisfied with the care their loved ones were receiving. Only 18.1 percent said they were dissatisfied and about 10 percent were neutral. A little over half said that they would like to provide care at home if they could. The most common special request made on behalf of a loved one in a nursing home is for special food. Other common requests include extra attention and environmental accommodations (e.g., room temperature). To read the full results of the survey, click here. Recent statements from Democratic politicians have indicated the possible rebirth of the federal estate tax. We are currently in a very good environment for estate planning since the federal estate tax exemption is $11,400,000 (2019). The Ohio estate tax was repealed effective for persons passing away after 2012. This rhetoric is probably not sufficient to motivate most of us to engage in any type of substantial estate tax planning to reduce estate taxes. It’s probably too early for that. However, inherent in the nature of any type of planning is that you must plan ahead prior to the occurrence of the event or change in the law. If you wait too long, once a change has occurred it may be too late too engage in some beneficial estate planning. We’ll have to keep an eye on Congress and the next election to see what will happen concerning estate tax developments. The Department of Veterans Affairs (VA) has finalized new rules that make it more difficult to qualify for long-term care benefits. The rules establish an asset limit, a look-back period, and asset transfer penalties for claimants applying for VA pension benefits that require a showing of financial need. The principal such benefit for those needing long-term care is Aid and Attendance. 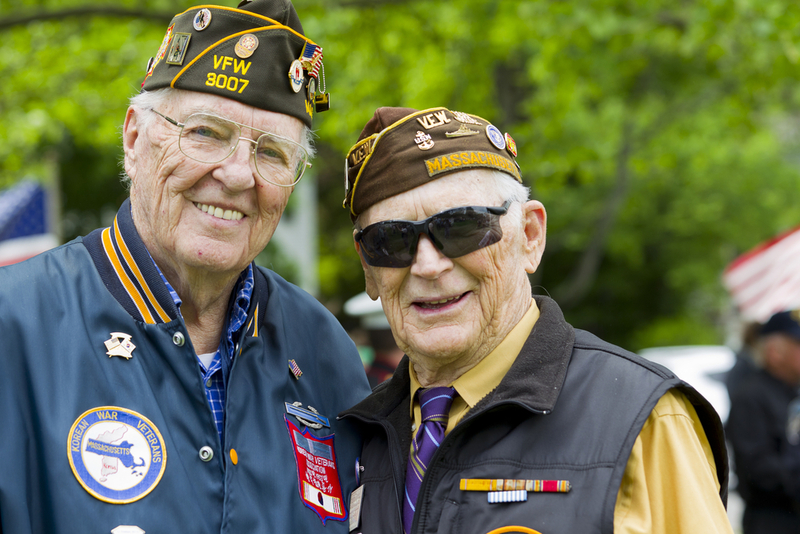 The VA offers Aid and Attendance to low-income veterans (or their spouses) who are in nursing homes or who need help at home with everyday tasks like dressing or bathing. Aid and Attendance provides money to those who need assistance. Currently, to be eligible for Aid and Attendance a veteran (or the veteran’s surviving spouse) must meet certain income and asset limits. The asset limits aren’t specified, but $80,000 is the amount usually used. However, unlike with the Medicaid program, there historically have been no penalties if an applicant divests him- or herself of assets before applying. That is, before now you could transfer assets over the VA’s limit before applying for benefits and the transfers would not affect eligibility. Not so anymore. 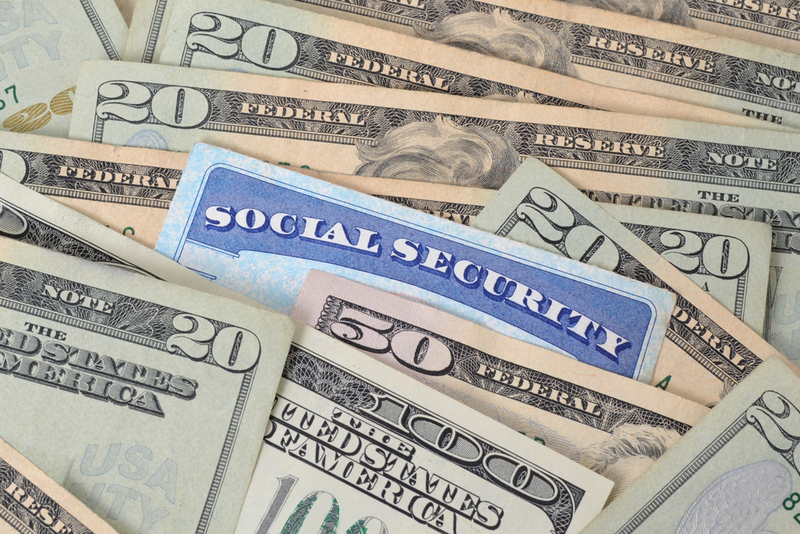 The new regulations set a net worth limit of $123,600, which is the current maximum amount of assets (in 2018) that a Medicaid applicant’s spouse is allowed to retain. But in the case of the VA, this number will include both the applicant’s assets and income. It will be indexed to inflation in the same way that Social Security increases. An applicant’s house (up to a two-acre lot) will not count as an asset even if the applicant is currently living in a nursing home. Applicants will also be able to deduct medical expenses — now including payments to assisted living facilities, as a result of the new rules — from their income. Under the new rules, the VA will determine a penalty period in months by dividing the amount transferred that would have put the applicant over the net worth limit by the maximum annual pension rate (MAPR) for a veteran with one dependent in need of aid and attendance. For example, assume the net worth limit is $123,600 and an applicant has a net worth of $115,000. The applicant transferred $30,000 to a friend during the look-back period. If the applicant had not transferred the $30,000, his net worth would have been $145,000, which exceeds the net worth limit by $21,400. The penalty period will be calculated based on $21,400, the amount the applicant transferred that put his assets over the net worth limit (145,000-123,600). The new rules go into effect on October 18, 2018. The VA will disregard asset transfers made before that date. Applicants may still have time to get through the process before the rules are in place. Veterans or their spouses who think they may be affected by the new rules should contact their attorney immediately. To read the new regulations, click here. 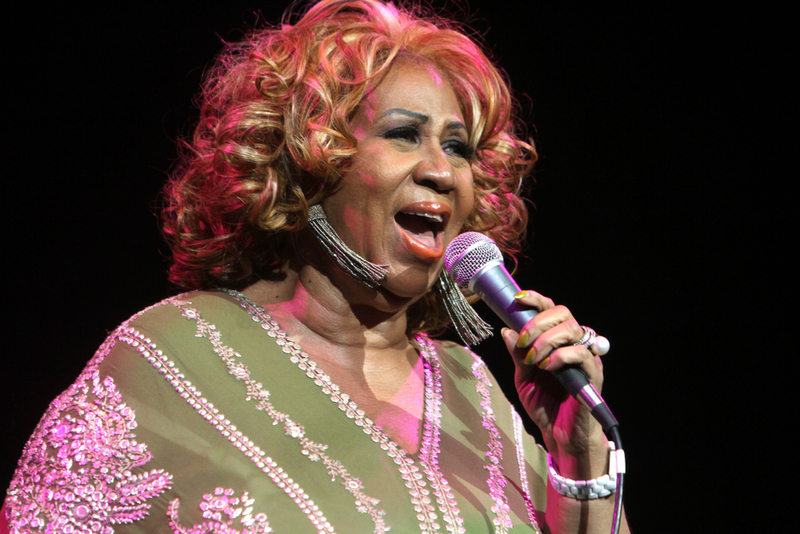 According to court documents, legendary singer Aretha Franklin did not have a will when she died, opening up her estate to public scrutiny and potential problems. Failing to create an estate plan can cause lots of headaches for heirs, in addition to unnecessary costs. Even if the “Queen of Soul” had wanted her estate to go solely to her children, by not having a will or trust, her estate will have to go through a long public probate process, which will likely cost her estate considerable money. If Franklin, who was quite private in life, had created an estate plan that included a will and a trust, she could have avoided probate and kept the details of her financial circumstances private. Her eldest son reportedly has special needs, which presents other potential complications. In addition, by not having a will, Franklin has opened her estate up to potential challenges that could drag out the probate process. Without a will to clearly state the decedent's intent, litigation resulting from family conflicts often eats into estates. Also, because Franklin did not plan her estate, the estate will be subject to unnecessary estate taxation. Although she may not have been able to avoid estate tax entirely, there are steps she could have taken to reduce the amount her estate will have to pay. Estate planning is important even if you don't have Aretha Franklin's assets. It allows you, while you are still living, to ensure that your property will go to the people you want, in the way you want, and when you want. It permits you to save as much as possible on taxes, court costs, and attorneys' fees; and it affords the comfort that your loved ones can mourn your loss without being simultaneously burdened with unnecessary red tape and financial confusion. Contact your attorney to begin working on your estate plan now. A California daughter and granddaughter's fear of losing their home to Medicaid may have contributed to a severe case of elder abuse. If the pair had consulted with an elder law attorney, they might have figured out a way to get their mother the care she needed and also protect their house. Amanda Havens was sentenced to 17 years in prison for elder abuse after her grandmother, Dorothy Havens, was found neglected, with bedsores and open wounds, in the home they shared. Amanda's mother, Kathryn Havens, who also lived with Dorothy, is awaiting trial for second-degree murder. According to an article in the Record Searchlight, a local publication, Amanda and Kathryn knew Dorothy needed full-time care, but they did not apply for Medicaid on her behalf due to a fear that Medicaid would “take” the house. It is a common misconception that the state will immediately take a Medicaid recipient's home. Nursing home residents do not automatically have to sell their homes in order to qualify for Medicaid. 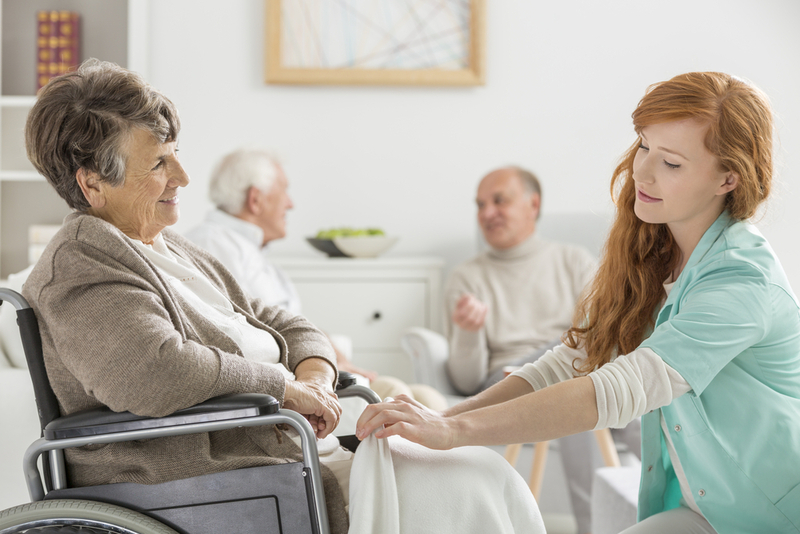 In some states, the home will not be considered a countable asset for Medicaid eligibility purposes as long as the nursing home resident intends to return home; in other states, the nursing home resident must prove a likelihood of returning home. The state may place a lien on the home, which means that if the home is sold, the Medicaid recipient would have to pay back the state for the amount of the lien. After a Medicaid recipient dies, the state may attempt to recover Medicaid payments from the recipient's estate, which means the house would likely need to be sold. But there are things Medicaid recipients and their families can do to protect the home. A “caretaker child,” who is defined as a child of the applicant who lived in the house for at least two years prior to the applicant's institutionalization and who during that period provided care that allowed the applicant to avoid a nursing home stay. In addition, with a little advance planning, there are other ways to protect a house. 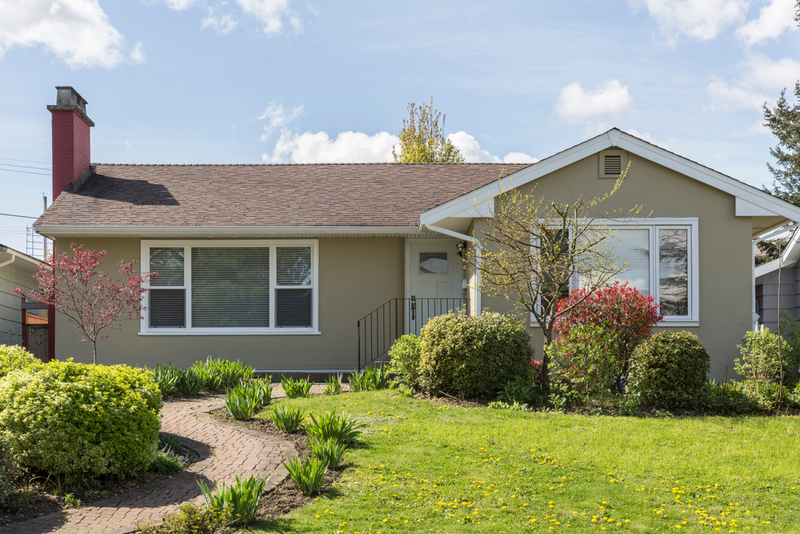 A life estate can let a Medicaid applicant continue to live in the home, but allows the property to pass outside of probate to the applicant's beneficiaries. Certain trusts can also protect a house from estate recovery. The moral is: Don't let a fear of Medicaid prevent you from getting your loved one the care they need. While the thought of losing a home is scary, there are things you can do to protect the house. To find out the best solution for you, consult with an elder law attorney. To find one near you, go here: https://www.elderlawanswers.com/USA-elder-law-attorneys. To read the Record Searchlight article about the case, click here.